This article will discuss how a synopsis differs from a summary, outline and treatment. When you are a student, aspiring writer or researcher who is applying for funding, you are usually asked to provide several summary versions of your project including a one-line version, a one-paragraph version, a synopsis consisting of one or two pages, an outline (usually between three and eight pages) or a treatment (between five and 20 pages). If you are making a documentary, it is important that you know how to write a documentary treatment. Although you might think that writing a script outline or film synopsis is nothing more than tedious busy work, the truth is that it is actually mutually beneficial whether you are the person seeking the funding or the organization responsible for providing it. Why? A screenplay outline, for instance, helps you get discovered and it allows those in charge of funding movies a chance to gain a clear picture about it. Many writing or film projects fail because not enough attention was paid to their content. So what is a synopsis exactly? In a nutshell, it is a statement that briefly explains the plot of a story or screenplay. Note that there are several different types of synopses. For instance, there is the one-sentence variety in which the person requesting funds tells the story all in one sentence. There is also a one-paragraph synopsis. This one obviously allows the fund seeker to provide more detail. In particular, you explain the "who" "what" and "how." Within two to four sentences you should say who the protagonist is, the conflict that takes place, and the resolution. Since it is so short and sweet, it won't bore the people reading it. It also provides just enough information that, if they are intrigued, they can proceed to ask more questions. The one page synopsis consists of around 300 words. Much like the paragraph type, you would discuss the "who" "what" and "how." But you would also take the detail further. For example, you will spend a bit more time defining the main character including the decisions they make and how it moves the plot. While you are limited in terms of the amount of words you can use, briefly discussing the character's motivates goes a long way towards giving the reader a sense of who the character is. In addition, you would discuss some of the other main characters, their roles in the story, the setting, and the plot twists. That last one is important; showing where the story goes and how it reaches that point gives a good indication of the narrative structure. In other words, the way in which the narrative starts, develops and comes to a conclusion. The synopsis should give away the ending since the people offering the funds would want to see that it does, in fact, have a proper, dramatic outcome that makes the story worth the 2 hours spent watching it. Furthermore, you want the organization proposing the funds to be excited about the possibilities. This is a document that is far lengthier than the synopsis. It takes the one page synopsis and builds on it, and usually consists of three to eight pages. It is important to learn how to outline a screenplay since it provides more detail about the actions the characters take, what happens based on their choices, and gives more insight into how the story would look if turned into a movie. In this way, the outline shows that you as the writer are a good storyteller. As you write the outline, try to imagine blocks of action rather than acts. These blocks will built on each other, and result in the progression of the story. To accomplish this, think of the narrative as going along a horizontal line or as a curve that rises. This document usually ranges between five and 20 pages and explains how you will utilize drama in order to move the story forward stylistically. 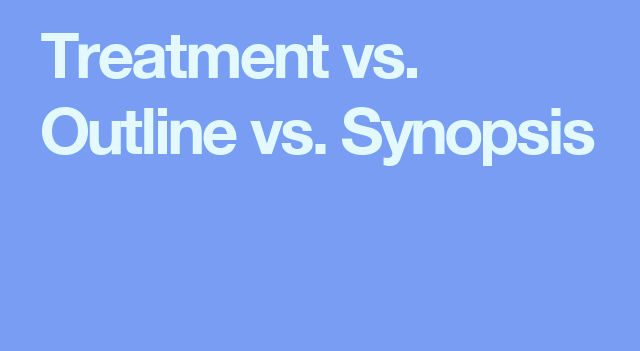 You should use both the synopsis and outline as the basis for the treatment. If you know how to write a treatment, you will be able to sell the fund provider on the idea of your movie. Just like with the other documents, you do not want to hype it up or use teasers in the way you would when showing a movie trailer. Instead, you want to use the treatment template as a way of assuring the potential investors that you really do have an interesting, coherent story and that it follows a well-organized formula. You should use the treatment as an opportunity to synthesize the subplots with the main plot in terms of explaining how they work together. Now let us discuss the difference between synopsis and summary. Sometimes you want to have a general idea about a book or movie before you determine whether it is worth devoting several hours to reading or watching the medium. This is exactly what a summary fulfills. It contains general hints about the main points, but without giving away the key details that are meant to generate drama and suspense. It should also not be confused with a review, which aside from providing a brief summary also includes your opinions and reflections about the work. Ultimately, the summary can be used to generate interest among an audience that might be interested in reading the book or seeing the movie. In that sense, when discussing summary vs synopsis, both are intended to "sell" the story. However, the target is completely different. Think of it this way: a summary helps somebody decide whether they want to spend $10 to see a movie or $20 to buy a book. On the other hand, a synopsis is essentially telling investors, "The millions of dollars that you're willing to invest would be totally worth it." This is why the synopsis cannot be thought of as a mere summary. It deliberately gives away the entire movie's main points including the ending since those funding the project are not going to do so blindly. Thus, when it comes to the synopsis vs summary, the difference is extremely clear. Now let us turn to the differences between the synopsis and thesis. The thesis is the argument or hypothesis that you are making in a research paper. You test it to determine whether there is any validity to it through research. Ultimately, you either determine that the thesis problem is well-grounded or you demonstrate that it is false. The thesis paper consists of the introduction, methods, results, discussion, and conclusion. On the other hand, the synopsis of a research paper discusses what you have found, briefly highlighting the key points in a few brief sentences. Finally, let us discuss the difference between a synopsis and research proposal. The research proposal is a document that is meant to sell grant providers on the idea that your research would be worth their investment. In particular, it discusses your motivations for choosing this research topic, the importance and relevance of this research, your hypothesis, your potential literature review (which should provide evidence that there is a gap in the research worth filling), the problem statement, the chosen methodology (as well as its justification), and your research plan. The synopsis, on the other hand, is a much briefer document in that you usually spend a sentence or two discussing each section. It is worth noting that the structure of the synopsis differs depending on the particular discipline. Sometimes it includes a brief summary of the discussion, results and conclusions, but not all synopses require this. If you are asked to provide a synopsis of your research rather than a research proposal, be aware that both carry the same amount of weight. In other words, much like a well-written research proposal paper determines whether the project gets to go forward, likewise a good synopsis is necessary if you want to convince the grant providers to provide you with money to carry out the research.